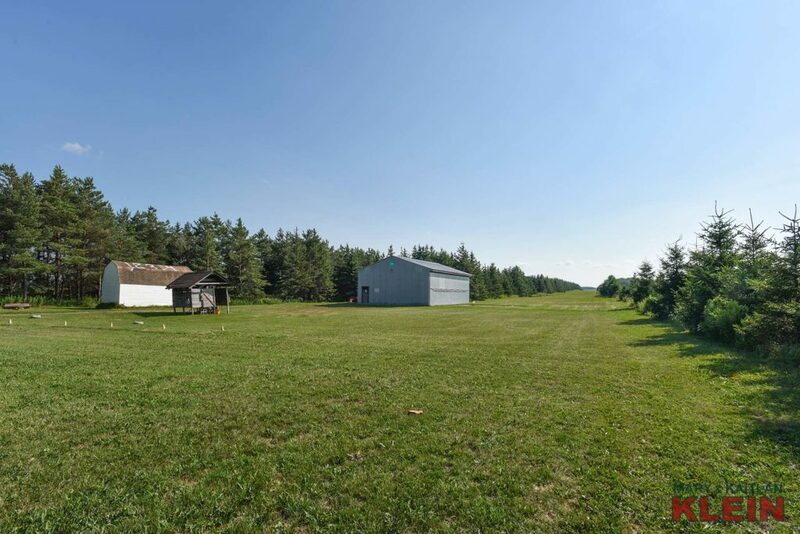 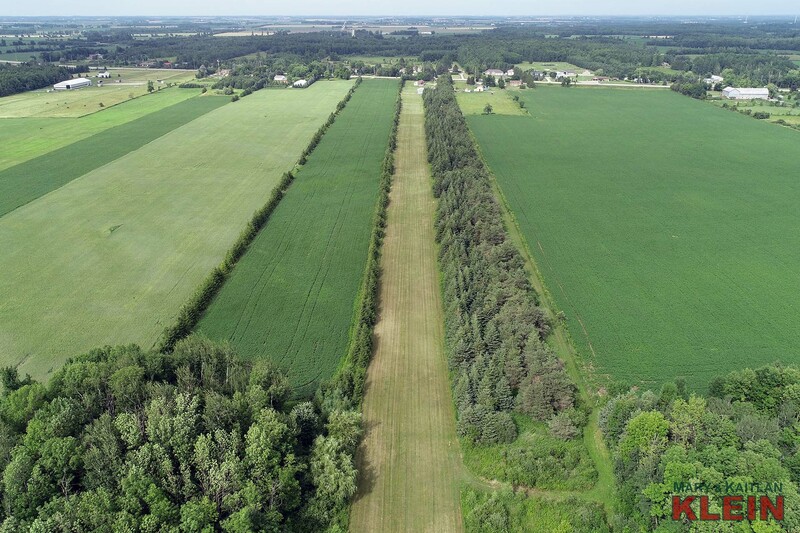 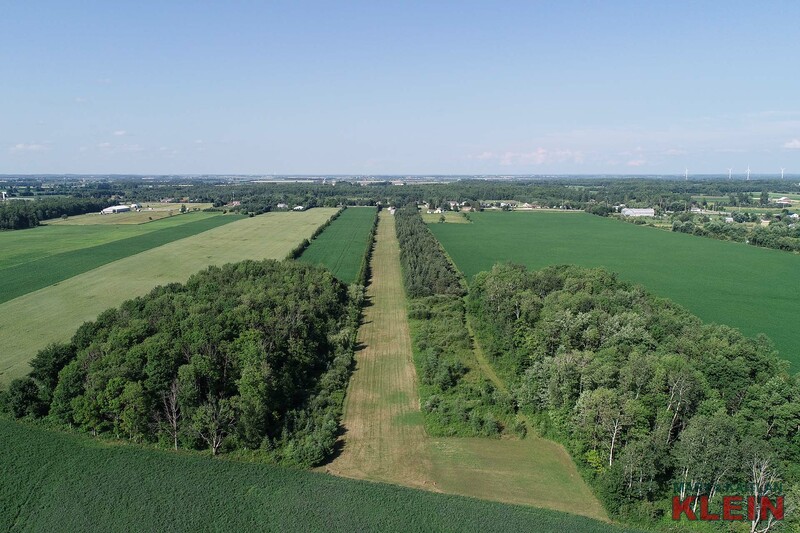 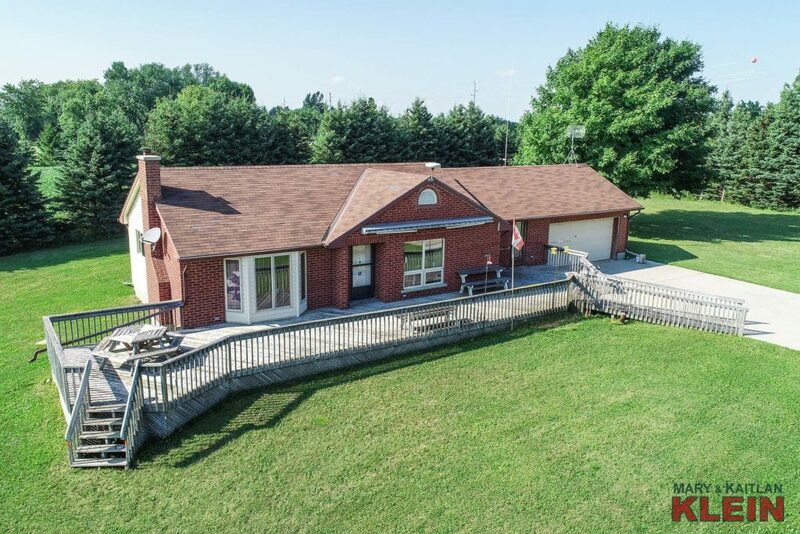 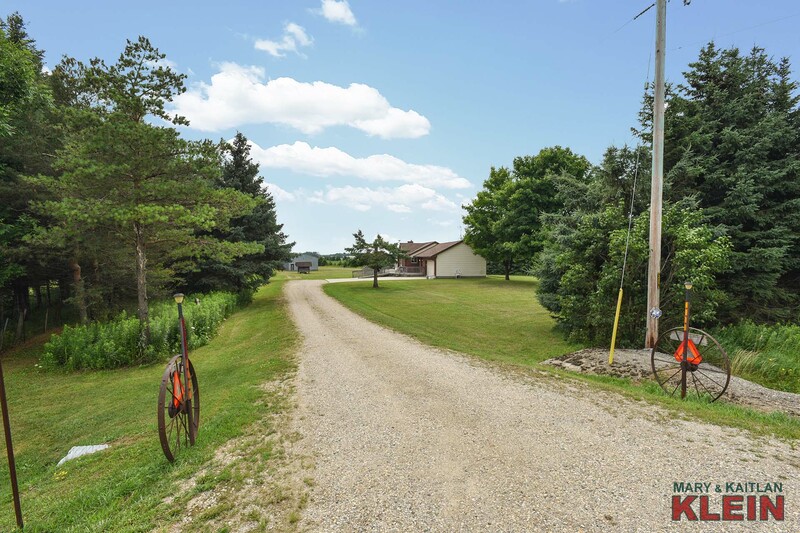 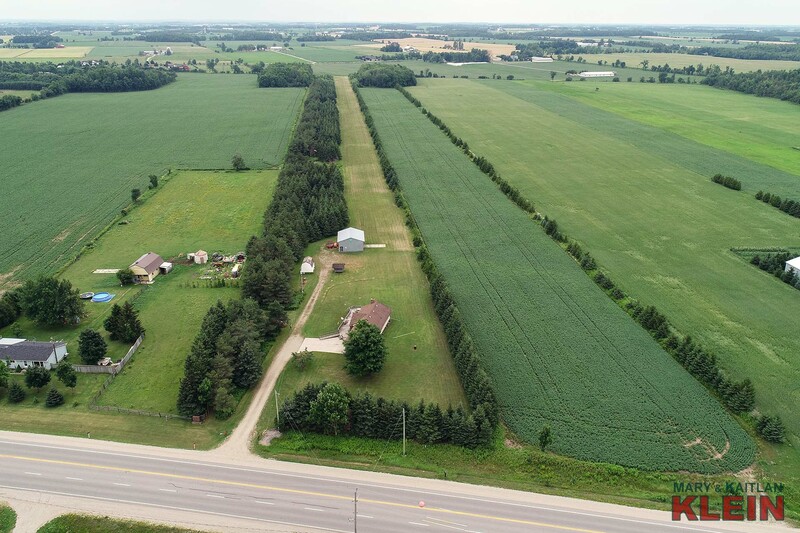 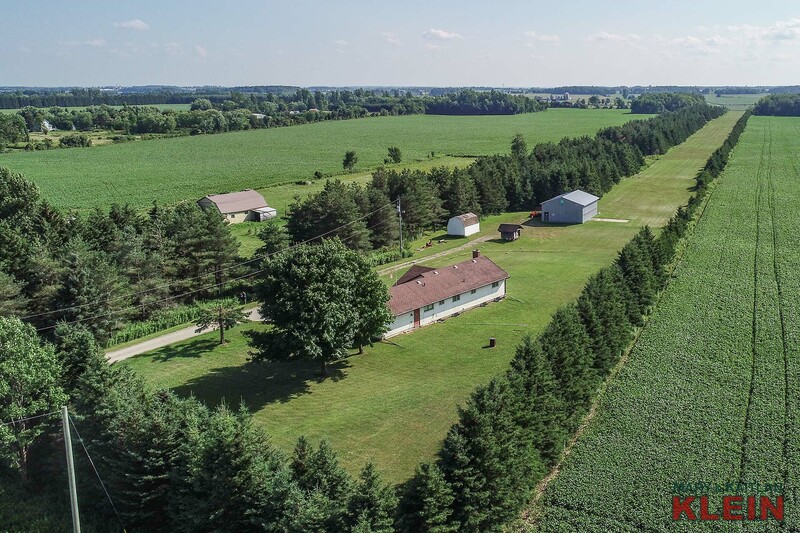 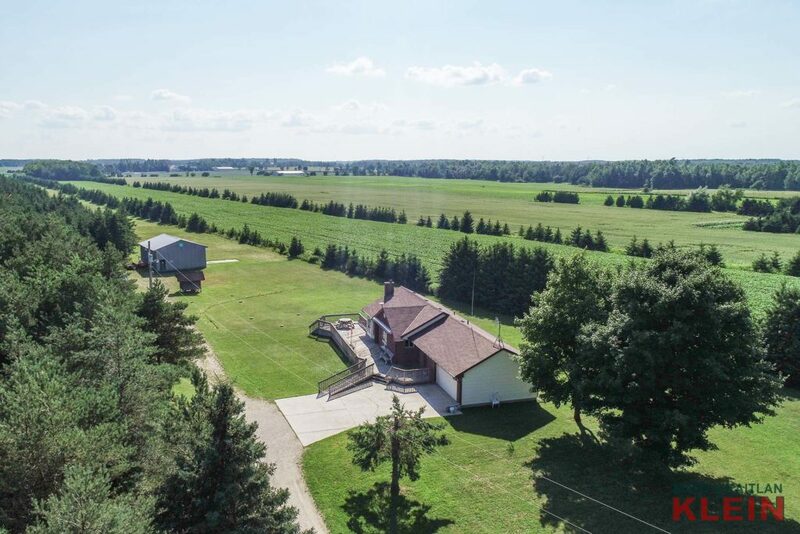 Located on Highway 6, minutes to Fergus, Elora, Guelph and just south of Arthur on 13.32 acres designated farmland, this 1+2 bedroom, 2.5 bathroom, brick and vinyl sided bungalow with 2 car attached garage was built in 1988, and has a grass airstrip (a federally registered aerodrome) and a 40 x 30 ft. steel outbuilding with electric bi-fold door is utilized as a hangar and currently rented for $300 per month. There is a garden shed, a fuel shed and tank, 2 tie downs, wind sock, and the land is tile drained. 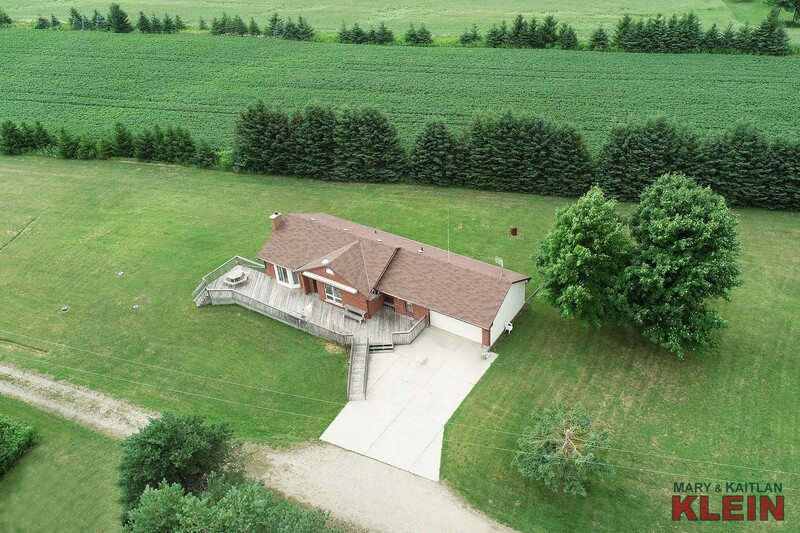 The home has handicap access, a stair glide and Hoyer lift. 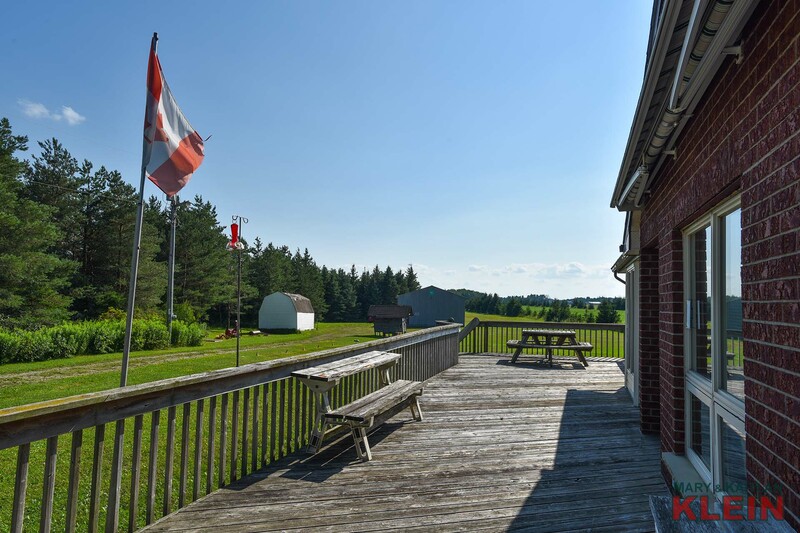 A large deck with awning leads to the front door and secondary entry. 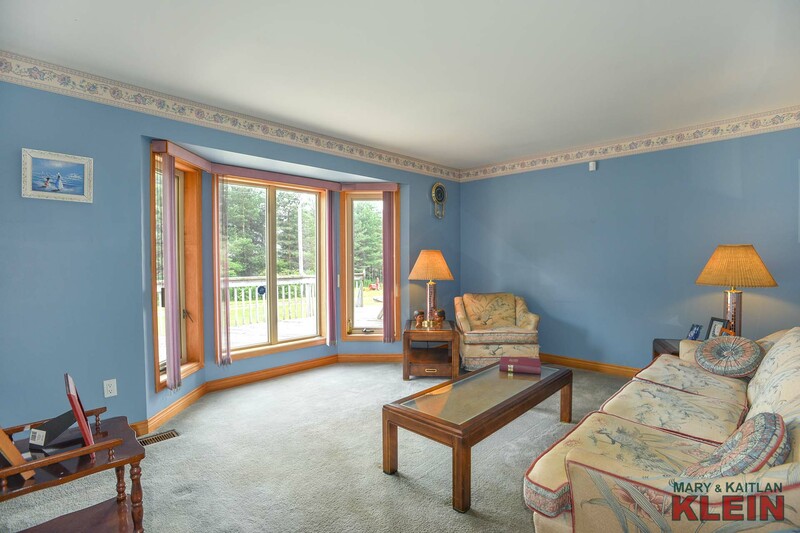 A cozy Living Room has broadloom and a large, south-facing sunny window. 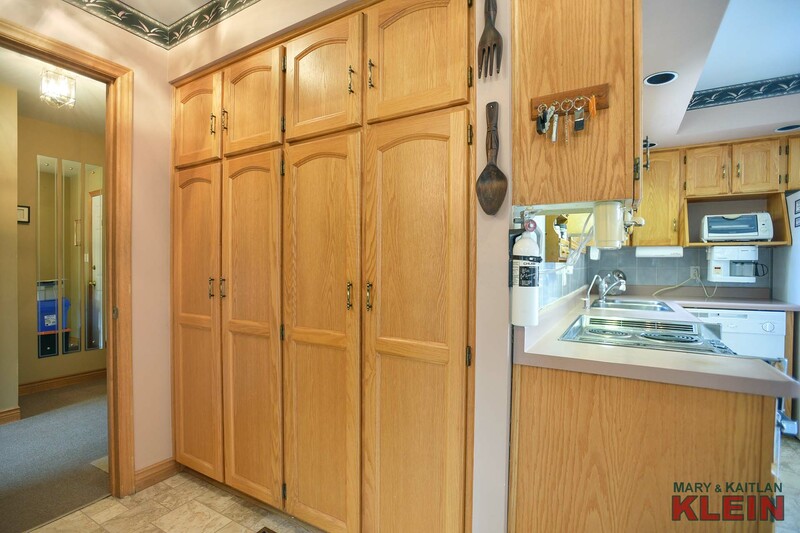 The eat-in Kitchen has oak cabinetry, vinyl flooring and a pantry area. 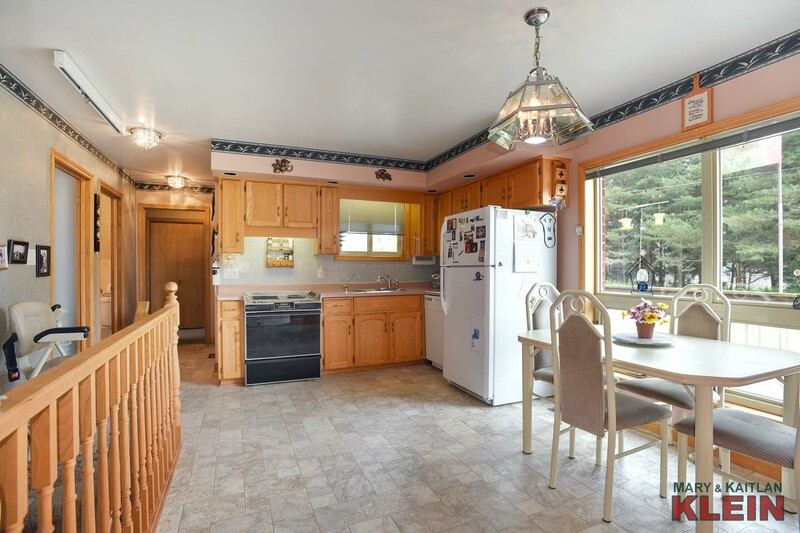 Watch the birds and other wildlife while sitting by the window enjoying your daily meals. 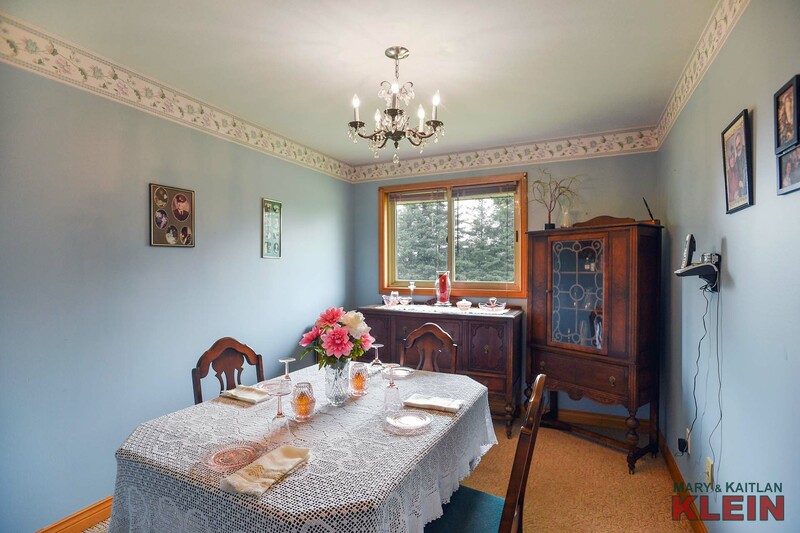 A formal Dining Room is near the Kitchen and could be converted into a bedroom if desired. 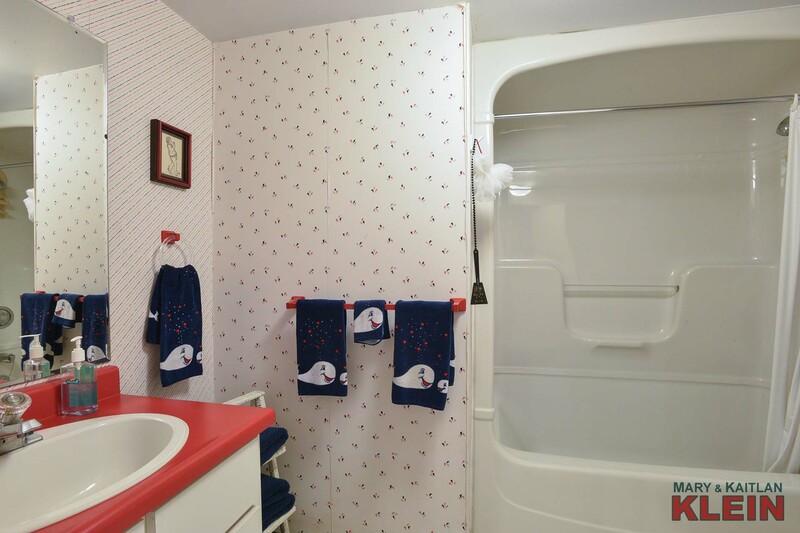 The Master Bedroom has a 3-piece Ensuite and a Jacuzzi tub, plus a walk-in closet. 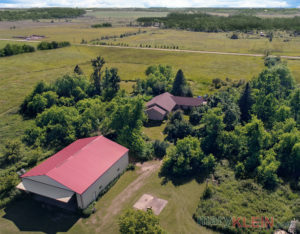 Completing the main level is a small office with garage access, and a 2-Piece Bathroom which is open to the Laundry Room. 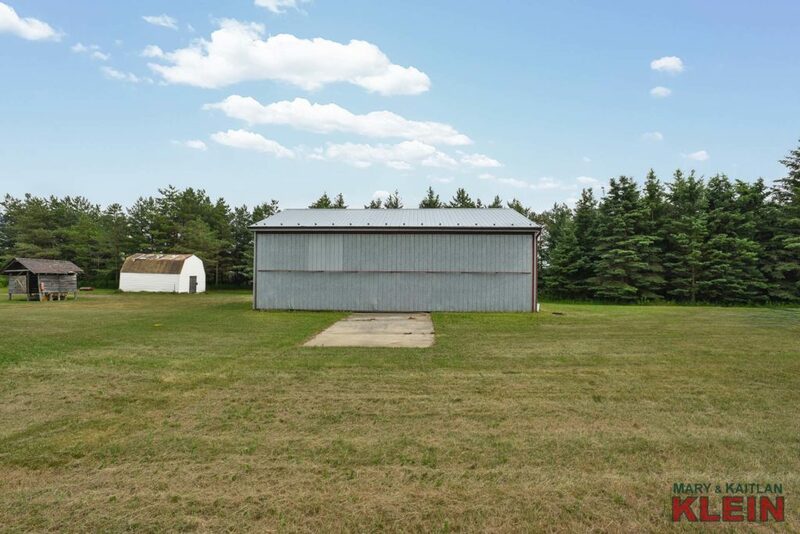 The Garage has a garage door opener and a workbench. 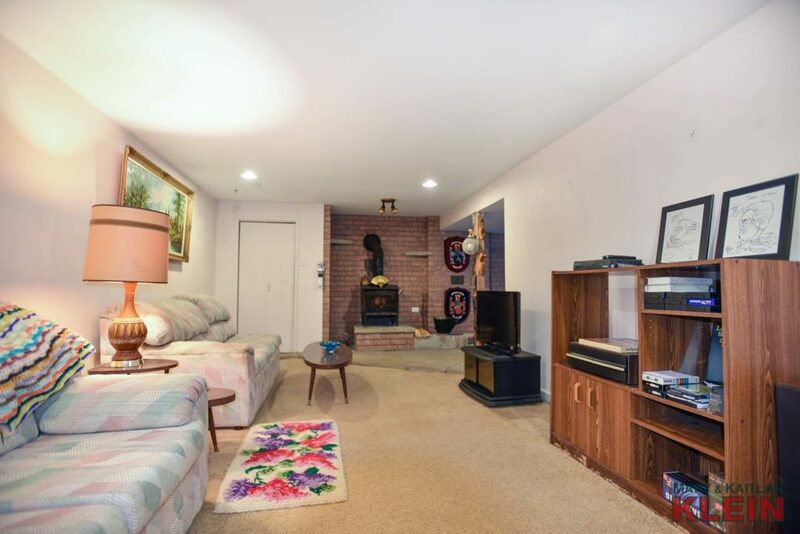 The partially finished Basement has a Rec Room with wood stove, Bedrooms 2 and 3 with above grade windows, broadloom and closets, and a 4-Piece Bathroom. There is also a large storage and utility area. 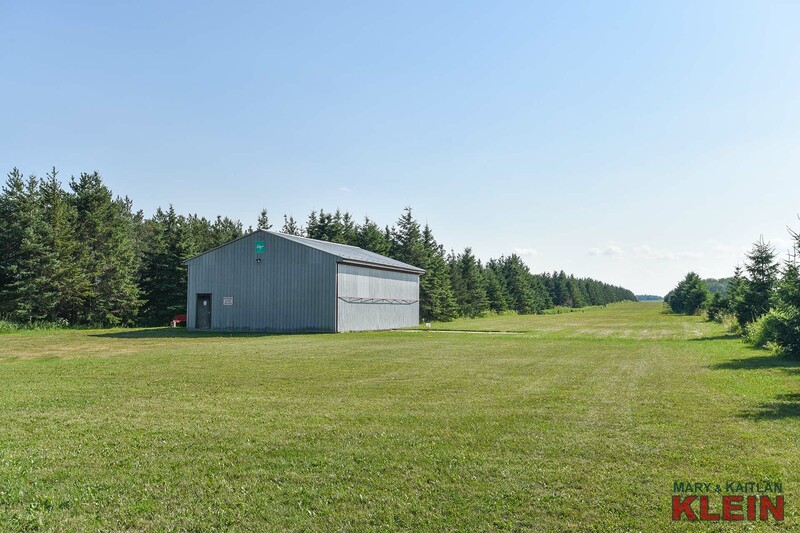 Construction & Mechanicals: The foundation is concrete block with plywood sub-flooring, geothermal furnace, 200 amps, sump pump, hard-wired generator, central vacuum system, water softener, UV water system, hot water tank, security system. 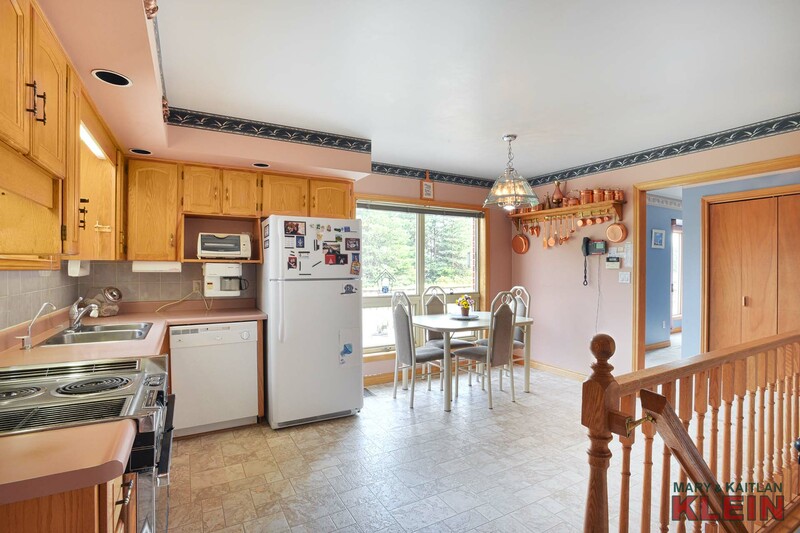 Included in the purchase price with all chattels in “as is” condition: Fridge, stove, dishwasher, washer, dryer, workbench in garage, 1 garage door opener, wood stove, security system, central vacuum system.  (water softener, UV water system, hot water tank, may be rented). 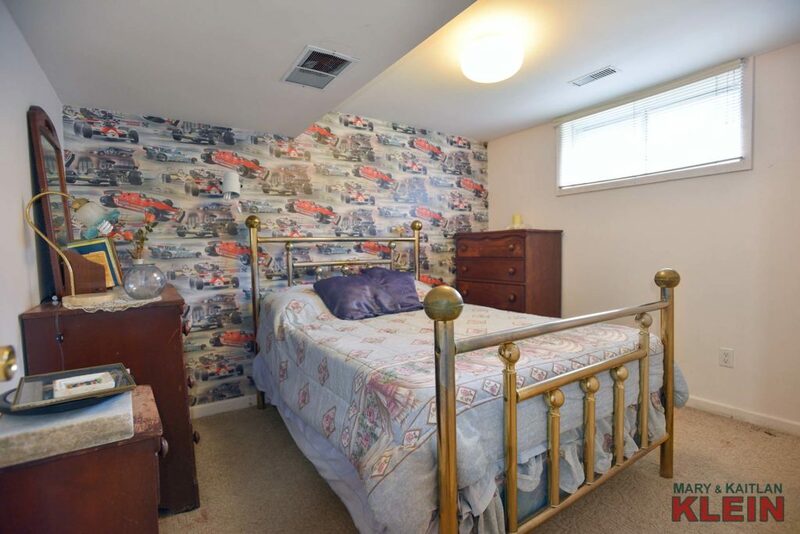 Please note the handicapped lifts and equipment are negotiable. 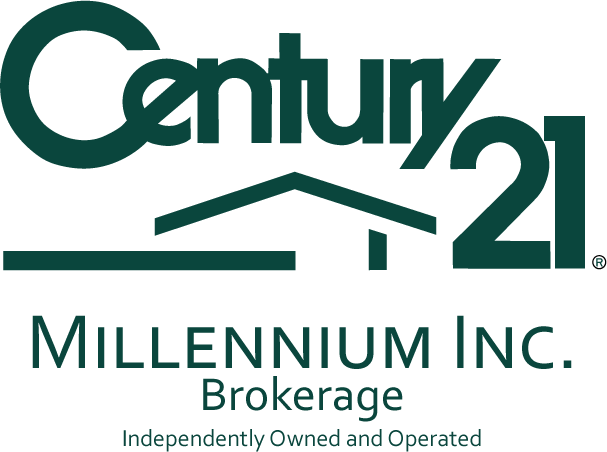 Property taxes for 2018 are $4,352.42. 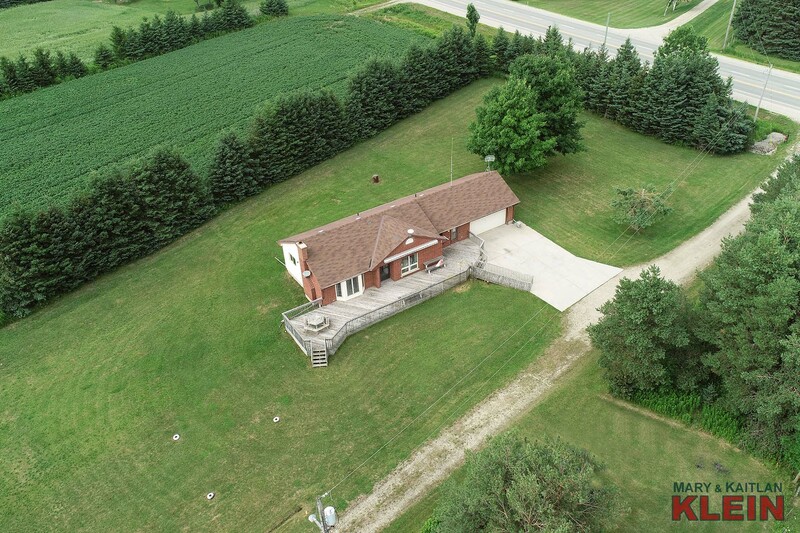 Do you Have a Question about 7174 Highway 6, Mapleton?